Starring Hamlette the pig, look for her guest appearances throughout this website. Grab-Its and Pens and Pigs . . . Oh My! 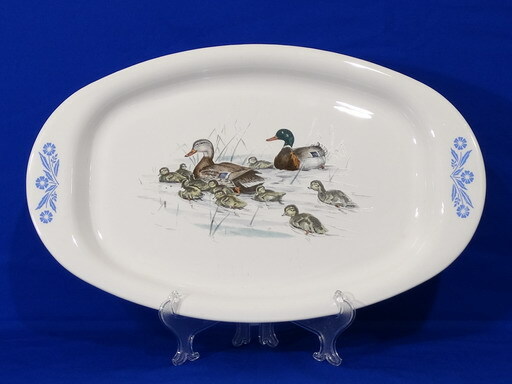 A & P - A supermarket, or two styles of Corning Ware? This is a showcase for my personal collection of Corning Ware. In Blue Cornflower, the "P" series ran from 1958 to 1972, the "A" series ran from 1973 to 1988. 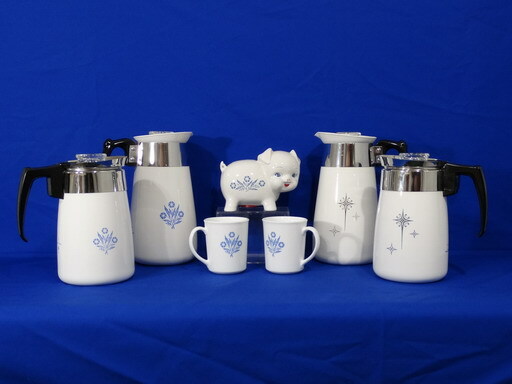 Some Blue Cornflower items were produced from 1992 - 1994 by Corning Vitro. All items are in excellent condition, no chips or cracks. 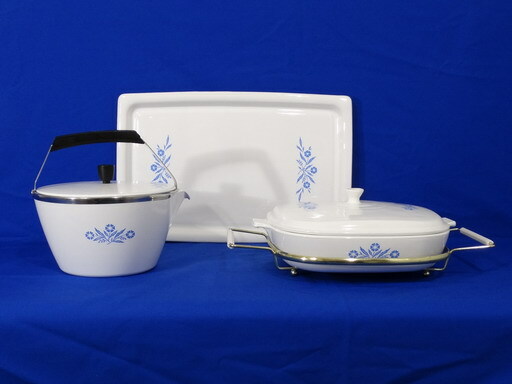 All of the Electromatics and CorningWare Electrics are in working condition. Some of the 1950's items are reserved for display only, but the newer ones are used daily. Nothing on this site is for sale. This website is not affiliated with World Kitchen, LLC. 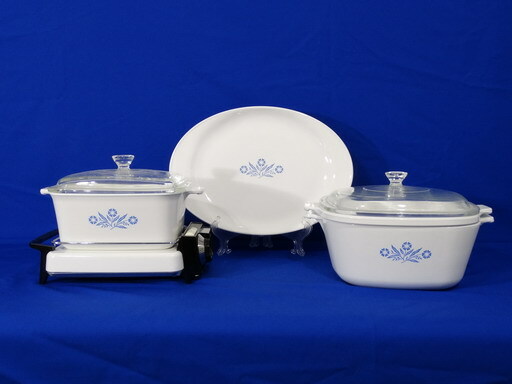 CORNINGWARE © is a registered trademark of Corning Incorporated. All trademarks shown are properties of their respective owners. This is a non-commercial web site for educational purposes only. Every attempt has been made to make certain that the information on this web site is as accurate as possible. This website collects general information from your browser and stores it in log files.